This membership is ideal for those who are looking to play or coach overseas for multiple seasons, both summer and winter, and want to retain their profile for life. Also ideal for a pair of friends that want to travel and play overseas together using the add-a-friend benefit. 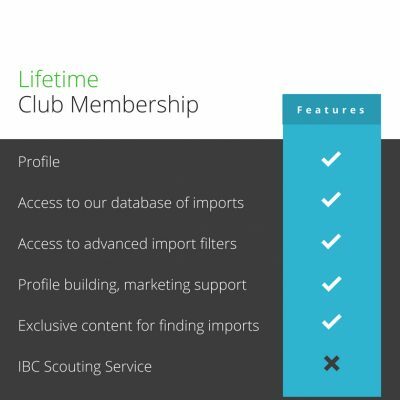 The Lifetime membership is a one time purchase for those who plan to use their abilities in the game to travel the world for 2+ years, which a large number of our members do. Many call it a trap, because they continue to get offers from clubs in countries they have yet to see and they just can’t pass up the opportunity. Prime examples of that are Chelsea Cohen and BBJO’s very own, Jimmy Jensen. Chelsea’s overseas journey started back in 2013 and she has since played in Argentina, Austria, Switzerland, South Africa, and both Australia and Italy twice. Jimmy started in 2015 in Austria and has since been to France, Germany, Australia twice and Canada. There are many, many examples such as these two who spend 4,5,6 + seasons overseas. The other major benefit of the Lifetime membership, is that when you decide to finally hang them up, your legacy continues on in the form of the BBJO profile that is still discoverable via a Google search or to anyone that has your custom url. This can be very handy when applying for jobs, especially within the game. Bump your profile to the top of the list at any time. When deciding on offers, on your behalf BBJO staff will contact former imports, reach out to contacts, etc to help you make informed decisions. Plus1 option to add a friend to your membership for 6 months. They will receive their own profile and our support in finding a club for a chosen season. Your overseas story featured on our blog. One BBJO “Travel the world. Play baseball.” jersey delivered to your house. **It is recommended before purchasing the Lifetime Membership that you have a strong history of statistical success that can be verified in order to be certain you will be in enough demand to bring in the offers that will allow you to maximize the benefits of this service. Feel free to consult us for our opinion first if this is a product of which you can maximize the value. 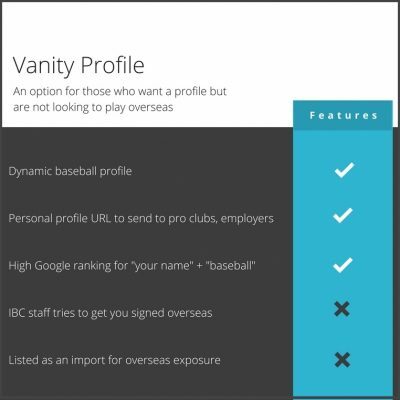 Contact us at dburns@baseballjobsoverseas.com for feedback. 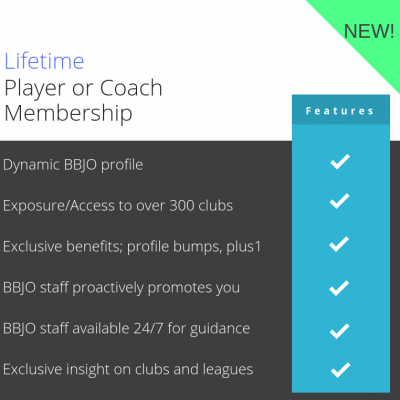 All of our members enjoy the support of BBJO staff and have access to their experience and knowledge 24/7. This is particularly helpful when deciding on multiple offers including contract advice and insight into leagues and clubs. One major benefit past members have appreciated is when we introduce them to former imports of a club that they are considering signing with, so they can hear from someone who has experienced it first hand.